As mentioned in the Table of Contents, I have decided to develop six new designs to honor the five military services and the Vietnam Veteran. Each shoe is significantly different from one to the other. They do, however, share certain characteristics. For instance, each is perfectly balanced front to back and side to side. Each has a marker or notch on each shank designating the halfway point and the center of gravity. 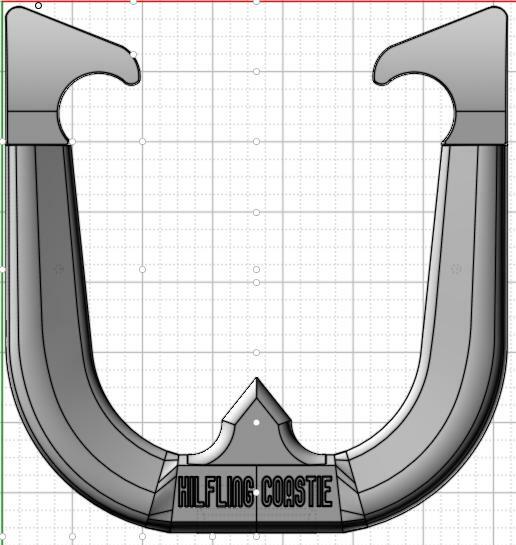 In addition, the hook calks are the same, to allow for more options regarding the thickness and shape of the shanks. I also wanted each shoe to be available for the flip or turn from either side. On several of the designs I have included an oversized ringer break. 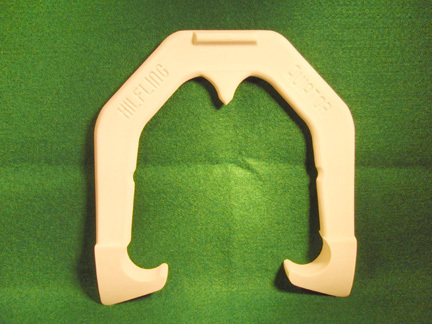 There are two main purposes for this ringer break; first, it improves the ability to reduce bounceback; second, it provides a platform for supporting the index finger for the flipper. Any shoe that makes it to production will be based solely on performance. 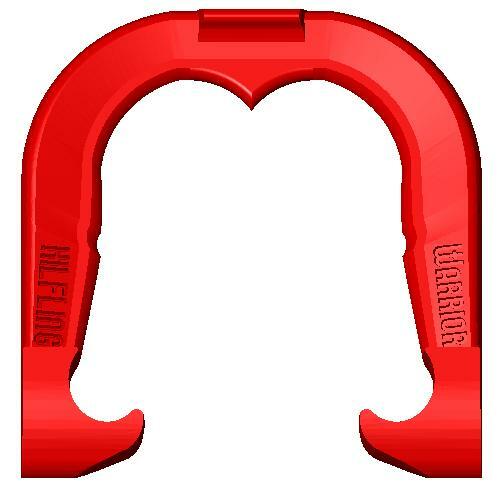 With the ability to design all of my horseshoes using 3D software, my options are virtually endless. I use both Moment of Inspiration and Netfabb for each of my designs. 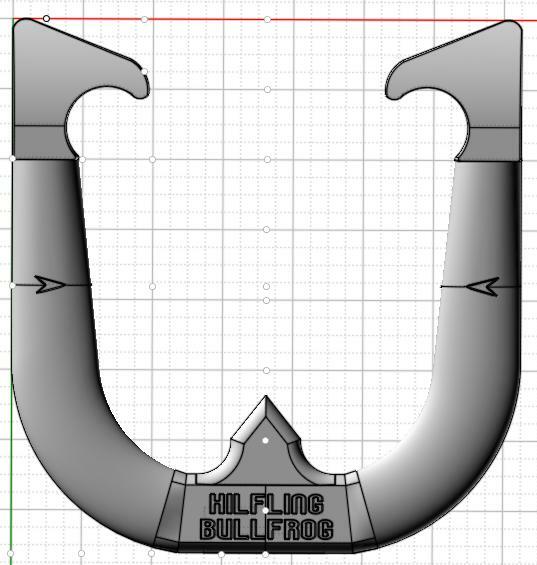 Once I am satisfied with the proper weight and placement of the center of gravity, I send the computer file to Wildwood Engineering in Walkersville, Maryland for 3D printing. 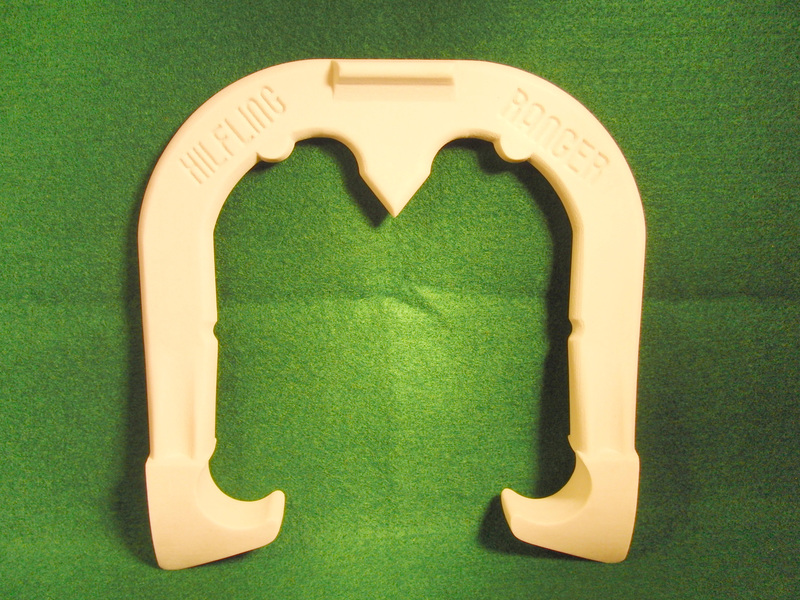 The output from the printer is a hard plastic representation of the horseshoe. A little sanding and the prototype is off to the foundry for casting in ductile iron. I have tried to be respectful to each of the military services with the naming of each shoe. I will describe the unique characteristics of each design below. I dedicate this shoe to the Vietnam Veteran. This shoe uses a hook calk that is the same on both sides. The shanks get progressively thicker as they approach the hooks. The ringer break is a little larger to reduce bounceback and deflect the shoe to the catches on either side. The recesses on either side of the ringer are tangent to the opposing ringer breaks. There is no location at the back of the inner perimeter that is square to the line of flight. Thus, shoes should not bounce directly back from the stake losing an all important ringer. The small dots on the inner perimeter is a grip reminder and is the precise location of the center of gravity. 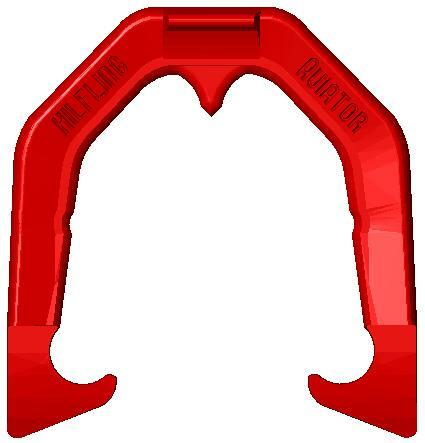 The center of gravity of this shoe has been moved 1/4″ closer to the hook calks for easier flip rotation. The thumb calk has been lowered to allow quicker release of the shoe during the upswing. This design is new as of July 2012. It is presently going through the printing and prototype casting process for further testing. I have added POW and MIA on the top and bottom of each shank, close to each hook. The reverse characters on the bottom side will leave a depression in the clay as a reminder. 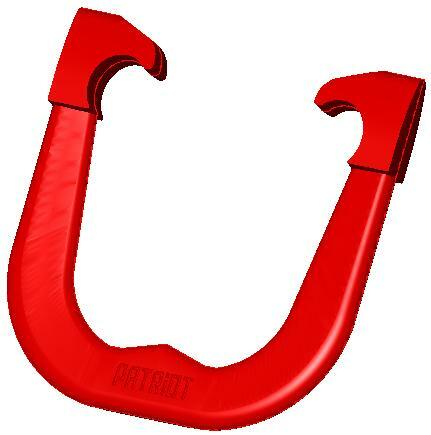 NOTE: This is not the Patriot released for production and sale on March 29, 2014. The original design above was tested and rejected and was replaced by the current Patriot now available. See below. The 3D PDF files have been replaced by JPEG files. Some browsers were not parsing the 3D files properly. The Aviator has the appearance of the M&M or the BigFoot. However, it is weighted differently. The outer perimeter is thicker than the inner perimeter with a flat ledge along the inner. I wanted to eliminate any square area at the back of the shoe to reduce or eliminate bounceback and chose a ringer break for that purpose. The thumb calk is very small and takes advantage of the overall shape of the shoe. The inner shank also has the grip reminder and center of gravity indicator. Below is a JPG of the Aviator back from the ZCorp 3D printer. It is an exact copy of the prototype built with Moment of Inspiration. A little sanding and it’s off to the foundry for prototype casting. 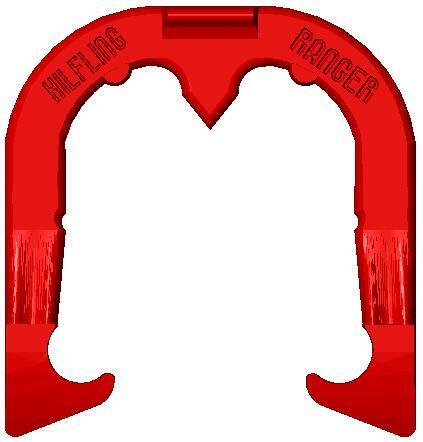 The Ranger has a more traditional look with a few differences. There are two tabs on either side of the oversized ringer break. Again, the design is to reduce or eliminate bounceback by eliminating a location square to the line of flight that could force a bounceback. 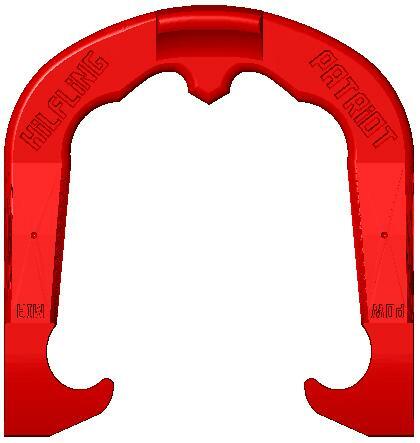 The most unique aspect of this design is the location for thumb placement for the 3/4 or 1-3/4 turning shoe. Below is a JPG of the Ranger rendered in plastic from ZCorp 3D printer. The Warrior is more traditional in appearance. The shoe is perimeter weighted with a bit thicker shank. The ringer break is a bit flatter. The shank angle makes gripping for the turner a bit firmer. The BullFrog was an experiment in oval shaped shanks. The predominant weight is directly down the center of the shank. The oval flattens down at the thumb calk. I’ve placed arrow shapes at the halfway point and center of gravity location. 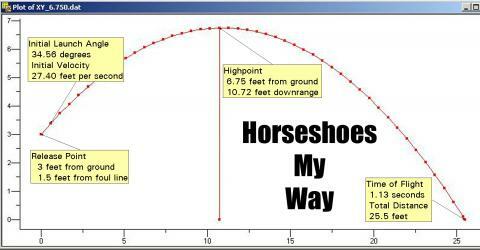 The shoe has not gone through the conversion to 3D PDF and is shown in it’s JPG image. The Coastie was an experiment in egg shaped shanks. The predominant weight is along the outer perimenter of the shank. The egg shape flattens down at the thumb calk. I’ve placed dot shapes at the halfway point and center of gravity location. The shoe has not gone through the conversion to 3D PDF and is shown in it’s JPG image.